Home / album / music / news / reputation / taylor swift / viral / Taylor Swift shades Kanye West in new album? Taylor Swift shades Kanye West in new album? The undisputable princess of pop music Taylor Swift has finally revealed that the title of her new album will be “Reputation”, and she also announced that the first single will be released on Thursday night, 24 August 2017. 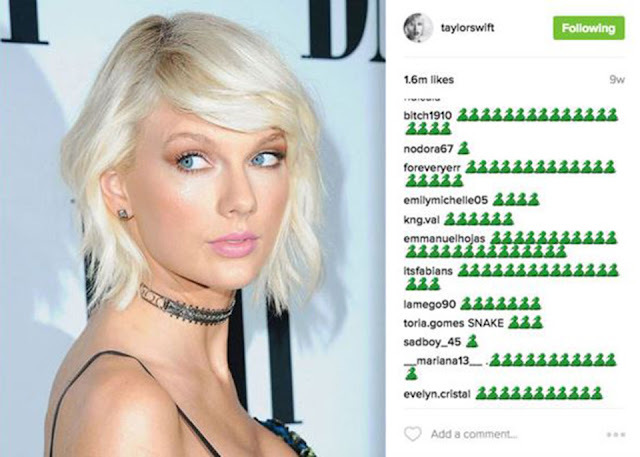 After cleansing all of her social media platforms – hinting for new music, Swift has been dropping several slithering clues for days to tease her fans. The clues come in the form of snakes and fans were quick to speculate that the videos have something to do with Swift’s feud between Kanye West and Kim Kardashian. Just so you know, last year hasn’t been a great year for the 27-year-old singer. Swift was associated to the legless reptile due to all the dramas she had with several celebrities including Calvin Harris, Katy Perry, Nicki Minaj, Kim Kardashian and Kanye West. But the hashtag #TaylorSwiftIsASnake and snake emoji started to trend after she had a public feud with ex-boyfriend Calvin Harris, and later with the Kardashian-West couple. Just a quick recap, after Harris and Swift broke up in June 2016, the two got into a social media feud when Swift admitted that she wrote his hit song, “This Is What You Came For” under the pseudonym, Nils Sjöberg, which was supposed to be a secret between the two of them. Swift explained that she was being “falsely painted as a liar”, but the internet doesn’t buy it and since then has been calling her a “snake”. And that’s where her cryptic snake videos came along. Now, not only is she embracing her newfound image, she also seems to have something planned out – she is getting back at them, and she is going to reclaim her ‘reputation’! 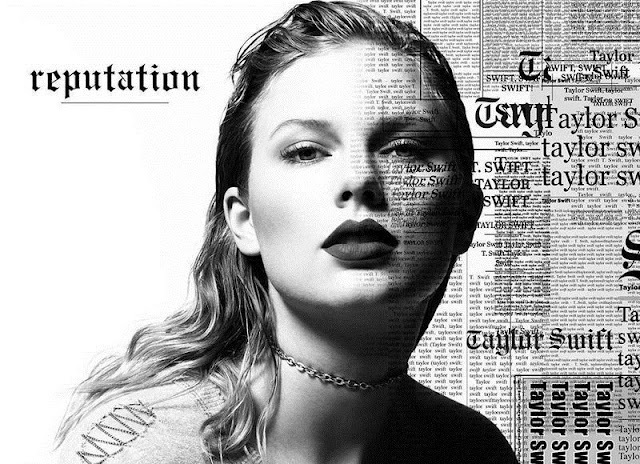 The cover art of her new album, “Reputation” is in black and white with her name printed in many different, newspaper-style fonts, indicating all the headlines she made last year. Some fans even compared the cover art to West’s "Life of Pablo" album art as it gives off similar vibe, others even pointed out that the font looks similar to the lettering on Kanye West’s Yeezy merchandise. So, expect to hear some juicy diss tracks from Swift’s new album because we know that she has a few dedicated to the people that made her “famous”. *Just a quick trivia, did you know that in the Chinese zodiac, 1989 was the Year of the Snake. Not only is that the year that Swift was born, it is also the title of her mega-successful 2014 album. So her newfound title actually fits her well - kind of!